HydraFacial® is an invigorating treatment that can be given in as little as 30 minutes. It delivers long-term skin health and can be tailored to meet the specific needs of all skin types. It offers instant, noticeable results with no downtime or irritation. 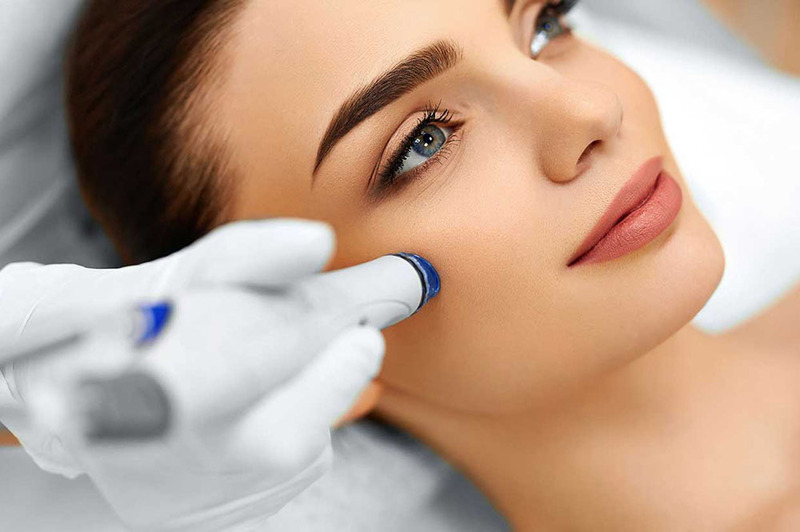 The HydraFacial® treatment removes dead skin cells and extracts impurities while simultaneously bathing the new skin with cleansing, hydrating and moisturizing serums. The treatment is soothing, refreshing, non-irritating and immediately effective. HydraFacial® can safely treat all skin types, even sensitive skin.Treatment serums may be custom-blended for your unique skin condition. Most people feel no irritation or discomfort during the treatment. Boost your HydraFacial® results with the addition of a specialty vial. DermaBuilder – a multi-peptide blend to improve the appearance of fine lines and wrinkles for smoother texture and younger looking skin. Britenol – an intensive spot corrector that delivers potent ingredients, such as Alpha-Arbutin and Vitamin C, to reduce the appearance of dark spots. CTGF – a solution of human-derived growth factors that encourage collagen development to smooth out rough skin, reduce fine lines, and return your skin to a youthful condition. Many people report seeing visible improvement in skin tone after just one treatment. A series of one treatment per week for six weeks is recommended. After your first series of treatments, you may want to maintain your results with a HydraFacial® treatment every two to four weeks or as needed.